Time constraints limit me from making a post out of every little news item related to the Lancaster County Regiment that I run across, so here's a list of items that I won't have time to discuss in detail. I also recommend listening to Tim Orr's presentation, "Enlistment in the North and South During the Civil War," for a more general look at how Civil War regiments came into existence. 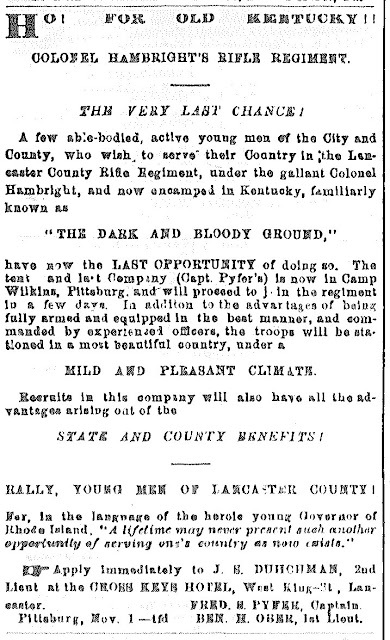 Compared to what happened elsewhere, the recruiting process was relatively tame in terms of partisan politics, presumably because Col. Hambright's stature as a military hero and proficient leader earned him bipartisan support. Here are a variety of references to news items from the Daily Evening Express, with the notations referring to the newspaper edition in which they appeared, ranging from September to November 1861. 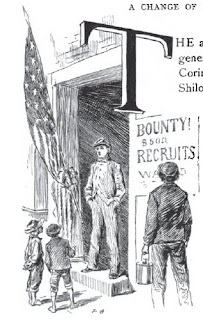 Advertisement for Capt. 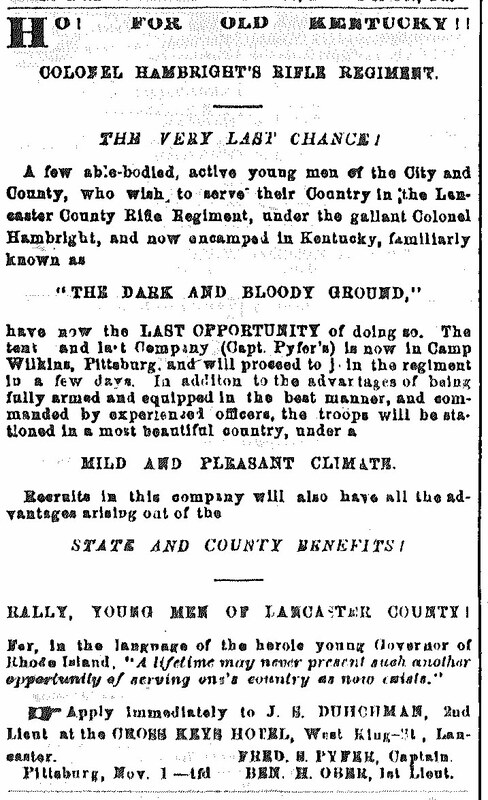 Pyfer's company, appearing in November 1861 editions of the Express.